Apart from this winning cash prize, Gorummy also offers rewarding features like ‘Rejoin’ and ‘Shootouts’ to double the players’ happiness with extra rewards. Rejoin: Player can re-enter into the tournament and get additional chance to play. Shootouts: Get additional bonus amount by eliminating each opponent.  Showcase your skills on rummy tables now! Take part in the Sizzling Tournament and make every Saturday a Super Saturday. Don’t Miss out! Register & get a chance to play Gorummy tournaments for more fun and get more money. Every player needs to have a verified Gorummy account. Registrations open for only 1000 players. Limited seats available. Top 75 winners will be eligible to win the whooping cash prize. Cash Prize will be dispersed among winners of the tournament. Players should not engage in any fraud activities of whatsoever. If found compromising, then all the winnings will be suspended. All Gorummy terms and conditions apply.